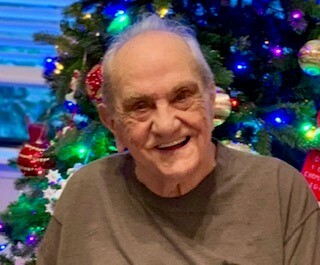 Hansel Thomas Greeson, 87, of Port St. John, FL, formerly of Calhoun, passed away Tuesday, January 22, 2019. He was born on August 18, 1931, son of the late Lee and Lizzie Greeson. In addition to his parents, he was preceded in death by his wife, Marlene Whitlow Greeson in 1979; his siblings, Blanche Fair, C.L. Greeson, Dwight Greeson, and Billy Greeson; and a son-in-law, Jim Carter. Hansel served in the US Navy, learning how to repair airplanes, which helped him get a job at Lockheed Martin. He farmed, and raised cattle and chickens with the help of his entire family. He loved the outdoors and working with his hands. He always had fun pulling jokes on people. Hansel was honored with offers to visit the White House during the Carter administration, and attended several times along with his wife. He enjoyed life to the fullest and will be missed. Survivors include his children, Richard L. Greeson and his wife Anna of Prosperity, SC, Judi Carter of Calhoun, and Tommy Greeson and his wife Kathy of Calhoun; his sister, Margaret Cantrell; eight grandchildren; and fifteen great-grandchildren. A graveside service will be held Tuesday, February 12th at 2:00 p.m. at Fain Cemetery. Funeral arrangements are by Max Brannon and Sons Funeral Home of Calhoun.